According to John 15:1-8, our interpretation of the sanctifying work that God accomplishes in our lives—especially during times of trial—is directly related to our understanding of pruning. This in turn affects our response to personal suffering and to others in their time of trial. 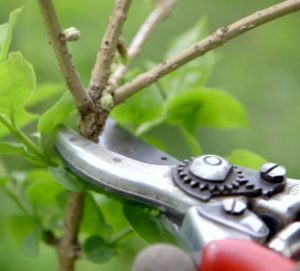 If we view pruning as punitive, rather than restorative, we lose sight of God’s undying love toward us and we become like Job’s anti-gospel counselors who immediately assume God is punishing our fellow Christians and, therefore, we are now free to cast judgment and harsh treatment upon them. Now, do you and I deserve punishment? Do we deserve judgment from God? No question about it! We deserve 10,000 lifetimes of grief and pain and turmoil—plus eternal punishment in hell. But that is not what we get if we truly trust in Jesus Christ. Why do we not receive eternal punishment? Because Christ already endured the punishment for our sin on His bloody cross. Why do we not receive punishment in our lives as Christians? Because Christ already endured the punishment for our sin on His bloody cross. If we forget this gospel truth then we become Pharisees filled with an imaginary sense of our own self-righteousness and, as a result, begin to conclude that the sins of others are far worse than our own, and are worthy of condemnation. Remembering the sufficiency of the Cross of Christ is foundational to living for Him in a fallen world, while we dwell in fallen bodies. When God chastens believers, He trains us in righteousness—and He does so motivated by love and familial commitment (Hebrews 12:6). Sometimes this includes suffering the painful consequences for our sinful words and deeds; which He ultimately has wisdom to discern. However, He only does this for those who truly belong to Him (false believers are not disciplined because they are illegitimate children). And, when doing so, He does not make us do penance, or cast us away in anger. We are no longer the enemies of God who receive punishment, but His adopted and blood-bought children. We are His branches and, as such, are tended by the Gardener, which includes the intentional pain of pruning. “I am the true vine, and my Father is the vinedresser. 2 Every branch in me that does not bear fruit he takes away, and every branch that does bear fruit he prunes, that it may bear more fruit. 3 Already you are clean because of the word that I have spoken to you. 4 Abide in me, and I in you. As the branch cannot bear fruit by itself, unless it abides in the vine, neither can you, unless you abide in me. 5 I am the vine; you are the branches. Whoever abides in me and I in him, he it is that bears much fruit, for apart from me you can do nothing. 6 If anyone does not abide in me he is thrown away like a branch and withers; and the branches are gathered, thrown into the fire, and burned. 7 If you abide in me, and my words abide in you, ask whatever you wish, and it will be done for you. 8 By this my Father is glorified, that you bear much fruit and so prove to be my disciples. Like the tree that is oddly shaped, has suckers growing out of the base of the trunk, or has dead branches here and there; we are in need of pruning. There are character deficiencies which God wants us to become aware of; there are serious heart sins (the root behind all behavioral sins), and sinful habits that need to be repented of. In short, we need to be pruned. But what are God’s purposes in pruning? Why Does God Prune Us, His Branches? Jesus gives five reasons God prunes His children. God prunes us so that we will bear more fruit. God does not prune us because He is angry at us, nor does He prune us because Jesus’ sacrifice was not enough (perish the thought!). God prunes us, His branches, so “that [we] may bear more fruit” (John 15:2). In other words, God looks at our Christian lives and concludes that we are not bearing near as much fruit as we could be. We are out of balance, have dead branches, and suckers are draining away our spiritual vitality. God prunes us so that we will become more dependent. God does not prune us in order to discourage us; He prunes us so that we will learn to abide in Christ—the true source of life. To abide in Christ means to live in obedient dependence upon His ongoing, minute-by-minute, supply of grace—grace which is Himself! Too often we become proud and independent, functioning as practical atheists. This will never lead to greater fruitfulness. “Abide in Me, and I in you. As the branch cannot bear fruit of itself, unless it abides in the vine, so neither can you, unless you abide in me (v. 4). Therefore, God loves us enough to prune us so that we learn to abide, to rest in Christ. Our Father, the vinedresser, trains us to learn—in practice, not only precept—that we truly “can do nothing” apart from Christ (v. 5). God prunes us in order to assure us that we are truly saved. God does not prune unbelievers in order that they may become more fruitful, for their fruits would simply consist of more dead works (James 2:17; Hebrews 9:14). Instead, He eventually throws them “into the fire, and they are burned” (John 15:6). Painful pruning (and it is painful) does not undermine the Spirit’s work of assurance; it strengthens it. It is the true child of God who is chastened by the heavenly Father, not the illegitimate child (Hebrews 12:7-8). By our fruitfulness we “prove to be” true disciples of Christ (John 15:8b). God prunes us so that He is freed to answer more of our prayers. Divine pruning results in our learning to abide in Christ, which in turn results in the freedom to ask God “whatever you wish, and it shall be done for you” (v. 7). The “obedience connection” in our prayer lives is designed by God to continually motivate us in our walk of faith. It is one of the if/then relationships in the Christian life. God prunes us so that we will glorify Him. Jesus is crystal clear: “By this is My father glorified, that you bear much fruit” (v. 8a). To glorify means to magnify, to enlarge, and to draw attention. As believers in Christ, we do not live to draw attention to ourselves, but to our glorious God and Savior. Our redemption brings God glory in order that the world may know that the gospel is real (see, for example, 1 Thessalonians 1:2-8). So, is it punishment or pruning? Punishment is reserved for the unbeliever, but God prunes those whom He loves–those who truly belong to Him. The heavenly vinedresser cuts here and there, wherever it is needed, to shape us into the image of the true Vine, Jesus Christ. And that only happens when we learn to abide in Him. Remember the words of Jesus: “I am the vine, you are the branches; he who abides in Me, and I in him, he bears much fruit; for apart from Me you can do nothing” (John 15:5). How much fruit do you want your Christian life to bear? If your heart’s deepest longing is “much more fruit” then be prepared for the pruning that will lead you there. It will be painful, but it will be worth it in the end. In Brass Heavens, regarding prayer. 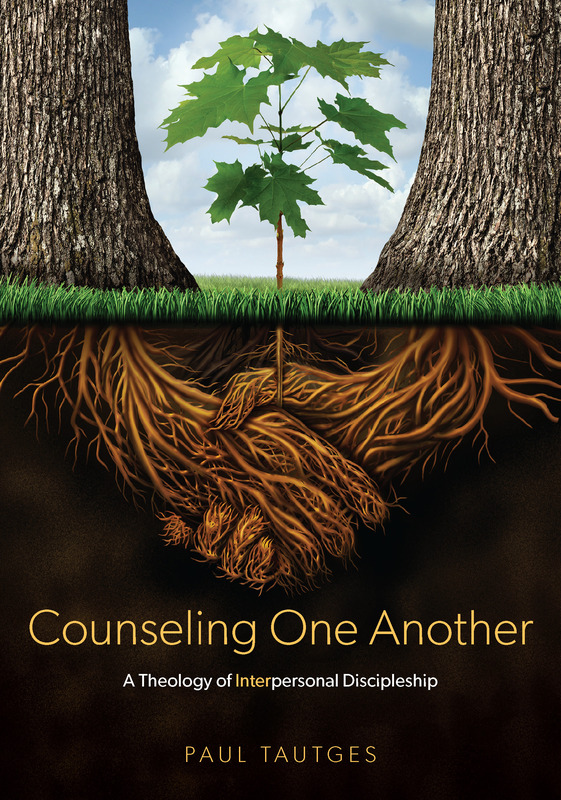 In Counseling One Another, regarding discipleship. And in HELP! My Toddler Rules the House, regarding parenting.